Metal detecting is an excellent way to find gold nuggets, but the majority of metal detectors on the market are not designed specifically for nugget hunting, and because of this they generally perform very poorly in the goldfields. There are several aspects of metal detecting for gold that make it by far the most challenging type of detecting. In this article, I would like to help explain the challenges associated with metal detecting to find gold nuggets, which gold detectors are best suited for finding gold, and the pros and cons of the different types of detectors out there. Before discussing the various types of gold detectors on the market, let’s first evaluate the main challenges that a gold hunter will have to deal with. This will help to clarify why choosing the right metal detector is so important for gold prospecting. The biggest difficulty that most beginning metal detectorists will encounter when they go nugget hunting for the first time is mineralized ground. Gold nuggets have a tendency to exist in areas that have extremely high amounts of minerals in the ground, most notably iron. This will give off a signal to a metal detector and can be a major headache. The biggest challenge is to find a way to cancel out the sound that the ground makes without covering up the potential sound of a gold nugget. This seems simple, but most metal detectors for sale on the market do not perform this function well. The average detector is designed for coin and relic hunting, not gold prospecting. They simply cannot handle the “hot” ground as well as a detector that is specifically used for hunting for gold. Along the same lines as mineralized ground are these pesky little things known as hot rocks. (The general term of “hot” when discussing metal detecting the goldfields means anything that will cause an unwanted signal response from your detector. Thus you will hear “hot”, “hot ground” and “hot rocks” used frequently among nugget shooters). A hot rock is a rock that is highly mineralized, and will give the same response as a metal object. Some areas have a few hot rocks and some areas have so many that they can be difficult for even the most experienced detectorist to operate in. The third big challenge that you must accept when metal detecting for gold nuggets is the fact that most gold nuggets are quite small and will often only give a slight response even to a highly sensitive gold detector! Hearing the faint signal of a gold nugget through the shatter of highly mineralized ground and hot rocks is what makes hunting for gold with a detector so challenging, but it can be done. Okay, so now that we have discussed the big challenges that we face, hopefully it is a little clearer why the average metal detector is poorly suited for the goldfields. A detector that does a fine job of finding coins in the park will be essentially useless in most of the goldfields. If you are serious about finding gold nuggets, you need a metal detector that is specifically designed for the task. Fortunately, there are quite a few detectors on the market that are built specifically for gold prospecting, and vast improvements in technology in recent years means that it is easier than ever to learn how to find gold with one of them. But with several different gold specific metal detectors on the market how do we choose which one is the best? Even though there are quite a few different gold detectors out there to choose from, it is important to understand that there are only 2 basic types of gold detectors being sold today; Very Low Frequency (VLF), and Pulse Induction (PI) metal detectors. Don’t get scared away by the technical jargon, we won’t get too in-depth regarding the function of these technologies, but what is most important to understand is that each type has advantages and disadvantages when hunting for gold nuggets. Let’s first start discussing VLF metal detectors. Some of the most popular models on the market today include the Gold Bug 2 , Gold Bug Pro , White's GMT , Garrett AT Gold , and Tesoro Lobo Supertraq . There are certainly others, including many older models that were truly the “King” of their time, but currently the models listed are some of the better VLF detectors, and are considered by most to be an improvement over some of the older detectors out there. One example that comes to mind is the original Fisher Gold Bug detector, along with several other older detectors which have certainly found a lot of gold over the years. So where do the VLF detectors listed above rank as far as the BEST at finding gold? Once again, we need to focus on the advantages and the shortcomings of this type of metal detector. The VLF detectors listed above are all proven at finding gold, and any of them would make a fine choice for a gold detector, but they do have some disadvantages. The fact is that none of them can detect a target as deep as a PI metal detector can, and this is their main limitation. Many of the goldfields have been hunted hard over the past decades, and extra search depth will greatly increase your odds of success. Any of the VLF detectors listed above just can’t compete with a good quality PI detector on depth. Another big difference between the VLF and PI metal detectors is in their ability to handle hot rocks and the highly mineralized ground so commonly associated with gold. Some VLF gold detectors just cannot function well in hot ground, and will perform poorly in some areas. Often with the proper tuning you can make them work, but will have to turn down the sensitivity to a point that they are severely limited in depth. The VLF detectors can compete in three main areas. First, their ability to detect small gold is superior to the PI detectors. Most of the better VLF gold detectors can pick up surprisingly small nuggets in the hands of an experienced operator, and those little pieces can add up in a hurry. Of course, being able to detect the smallest pieces of gold requires an operator with enough experience to hear those faint whispers. A second consideration is that the cost of most new VLF detectors are well under $1000, and sometimes you can even pick up a good used unit for a few hundred dollars. A third benefit of a VLF over most PI detectors is weight, which is a big consideration for many detectorists. The heavy weight of a detector can really make detecting unpleasant for someone who is a bit older, or perhaps has a shoulder injury. Even physically fit young guys complain about the weight after lugging around a heavy metal detector all day! VLF detectors are usually much lighter and can be swung all day with very little fatigue. Of course it’s no surprise that the high quality Pulse Induction metal detectors are considered by most to be the best on the market when it comes to finding gold. It would be easy to make this assumption based simply on their price alone, as a new one can cost you well over $5000. While most VLF detectors reach maximum detectable depth at around 12” or so, quality PI detectors have the ability to punch down several feet on a good sized target. Even on small to medium sized nuggets, they can generally detect them much deeper than most VLF detectors, with the exception of extra small flakes and bits. There are also instances when a VLF metal detector will hit on targets that are missed by the PI detectors, like specimen gold that is more loosely formed rather than the average gold nugget. These pieces are certainly the exception rather than the rule, but there are pieces of gold out there that even the best pulse induction metal detectors will miss. There is little doubt that Minelab reigns supreme as the leader in pulse induction metal detector technology. The first Minelab detectors came out nearly two decade ago with the old SD2000, 2100 and 2200 models. Over the years, gradual improvements have been made to and with each updated model, most detectorists have been pleased with an increased sensitivity to gold nuggets along with a better ability to handle hot ground. The GP3000 and GP3500 models came out with even better sensitivity to smaller nuggets, and the newest upgrades came with the GPX series detectors. Most serious gold hunters are now using the GPX4500 and GPX 5000 models and the general consensus is that these are the best metal detectors available for nugget hunting. 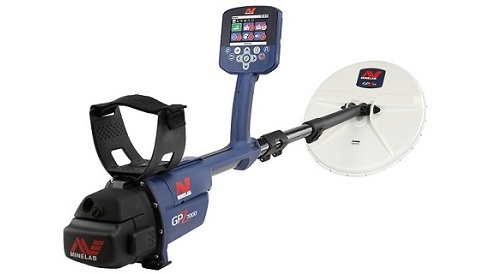 The recently released GPZ 7000 can find even deeper targets that the GPX series. Especially these newest models have made huge improvements to their sensitivity to small nuggets, as well as remarkable improvements in their ability to maintain smooth thresholds over exceptionally hot ground. Australian gold prospectors have been some of the biggest fans of this newer technology, where extremely iron rich ground makes for some of the toughest detecting conditions on earth. There are other PI detectors on the market that are gaining some traction as worth gold detectors, including the White’s TDI and TDI SL. These certainly don’t yet have the following that the Minelabs have, but at roughly 1/4 of the cost, they are certainly worth researching if you would like to step-up to a PI metal detector without spending the high price of a brand new Minelab. Although you might also consider the option of picking up an older model used Minelab such as a SD2200. They do still show up occasionally for sale, and are generally around $1000 or so, a reasonable price to pay for a good PI unit. It’s also worth noting that many experienced detectorists still speak fondly of the older model Minelabs, and most agree that they can detect targets just as deep as the newer ones. With fewer adjustments, some also feel that they are easier to learn and operate. To put it quite simply, there is not one BEST metal detector for finding gold nuggets. Both from personal experience and speaking with many experienced gold hunters, most will tell you that the real secret to successfully finding gold with a metal detector is to get the coil over the top of a nugget. While most do agree that the newer model Minelab detectors are great, there are tons of successful nugget hunters out there using older model Minelabs along with a variety of VLF detectors to find gold. The real secret to being a successful nugget shooter is to learn how to operate your detector and understand what exactly it is telling you. Understanding the language that your detector speaks is how gold prospectors really become successful. A $500 detector in the hands of an experienced operator is much more likely to find gold than a $5000 detector in the hands of a newbie. Hopefully this sheds a bit of light on metal detecting for gold and gives you a better idea of what metal detector will suit your needs the best. In an effort to avoid generalities, I do want to end this article with some solid metal detector recommendations based on my personal experience as well as talking with many successful nugget hunters over the years. Of course as with anything in life, there is never 100% consensus, but I can say that these are some specific detector models that will suit you very well. For a basic VLF that has been on the market for many years, it seems that most agree that this is the most sensitive gold detector on the market. It operates at 71kHz, and has extreme sensitivity to even the tiniest “crumbs” of gold. If you are in small gold country, you can’t go wrong these, as they have an awesome reputation among experienced detectorists. If someone forced me to pick just one VLF for nugget hunting, it would be the GB2. Another VLF detector, the Gold Bug Pro also has excellent sensitivity to small gold. Although my experience has been that it doesn’t quite have the sensitivity that the GB2 does, it does have an ability to handle hot ground better, making it a better choice in many areas. Probably the most user friendly detector out there, even a beginner should be able to read the manual, tinker with the settings, and be finding gold nuggets rather quickly. In some conditions it will also detect a bit deeper than a higher frequency detector like the GB2 or the White’s GMT. This VLF detector has been on the market for many years, and an experienced operator can find some surprisingly small nuggets with them. Operates using a ground tracking system that can take some getting used to, but those who do are generally very happy with its sensitivity. Another VLF gold detector with a good reputation, although probably less popular than the GMT, it also uses a similar ground tracking system. It is sensitive to small gold, but not quite as much as the GMT or Gold Bug 2 according to most who have tried them all. Another detector that is fairly new to the market, it is getting good reviews for its sensitivity to small gold. Garrett is one of the oldest and most popular metal detector companies out there, and they have a loyal following. These were the first major Pulse Induction metal detectors to hit the market, and were regarded immediately as serious tools for finding gold nuggets. Their ability to handle highly mineralized ground along with hot rocks makes them a clear winner for many goldfields around the world. While the SD and GP models of detectors are no longer in production, you can still find them used with some regularity, and plenty of excellent nugget hunters are still using the units that they bought new from the factory. In fact, many prefer them to the newer models for their simplicity. No doubt, any Minelab PI detector is a good investment if you are serious about finding gold nuggets. 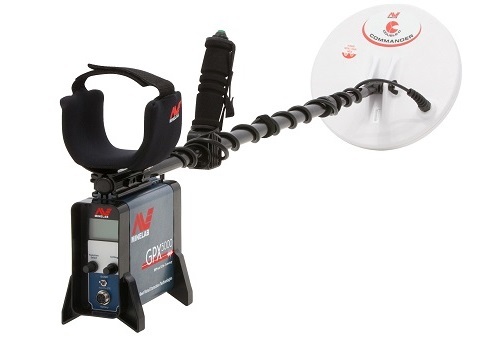 The GPX series of metal detectors are the newest offering from Minelab. A few years ago they came out with the GPX4000 and GPX4500, and currently sell the GPX4800 and GPX 5000 . You will get little argument that these are the best gold detectors currently on the market, but with a price tag of around $5000, they may be a bit out of reach for the average recreational prospector. 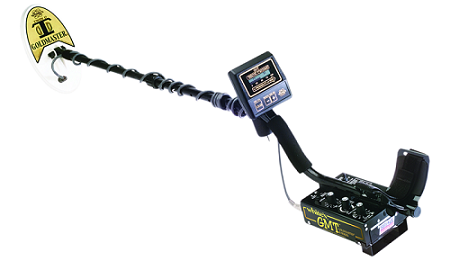 Garrett is one of the most popular metal detector companies with a loyal following. The ATX is the first pulse induction gold detector. It is a very good quality detector build in a rugged design. It is also waterproof, making it a good option for those who want to venture into the rivers. The SDC 2300 is one of Minelab's newest offerings and it is now one of their most popular gold detectors. It has an amazing design that can be folded up for easy transport. It is also waterproof. It is hardwired with an 8" mono coil and is amazingly sensitive to small gold. I highly recommend this detector if you have the money. If you are looking for the top-of-the-line gold nugget detector available today, then the GPZ 7000 is what you are looking for. It is the deepest gold detector on the market, but it's priced accordingly. You'd better be serious about finding gold to justify the price tag! 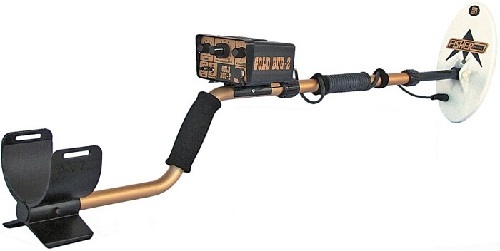 Well there you have it, some of the best gold metal detectors on the market. It is impossible to pick just one, and most nugget hunters own a few different detectors for the different environments that they come across. If you choose one of the time tested detectors mentioned above, then you will have what you need to find gold nuggets. Then all it comes down to is learning what your detector is telling you and putting the coil over a piece of gold!